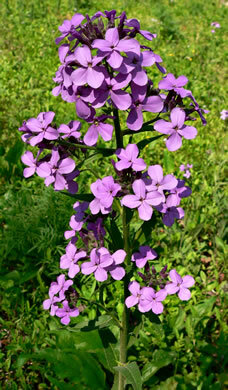 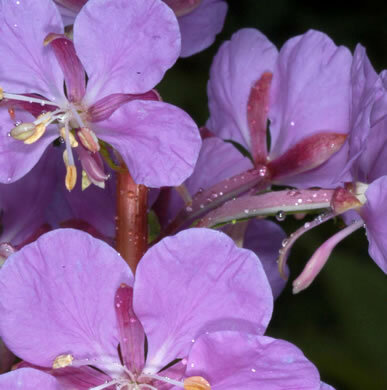 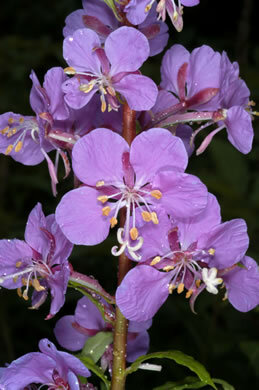 Your search found 16 image(s) of Dame's Rocket and Fireweed. 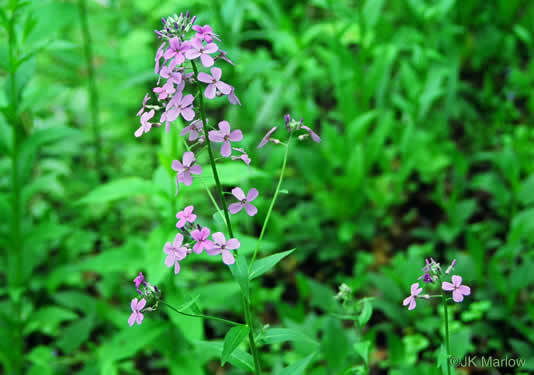 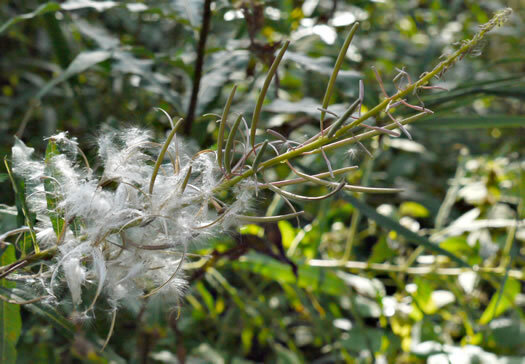 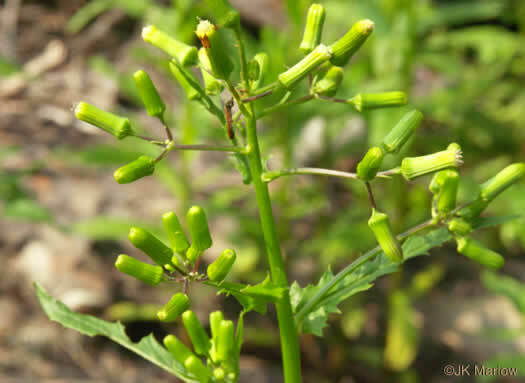 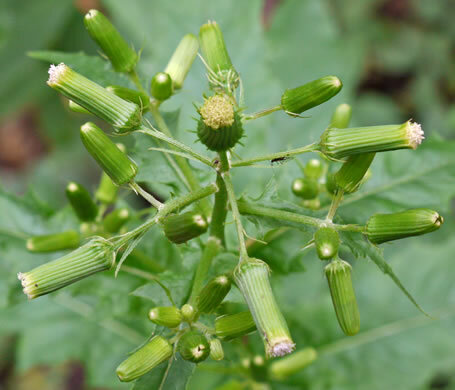 Cultivated and escaped, now invading natural areas in northern states, per Wildflowers of Tennessee, the Ohio Valley, and the Southern Appalachians. 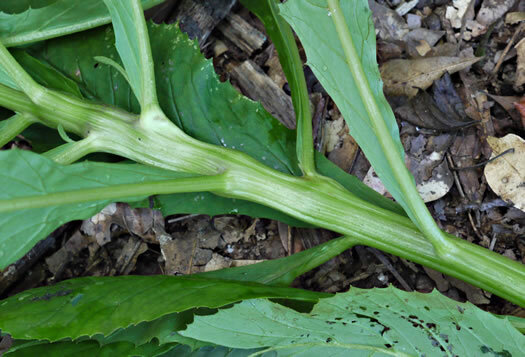 Lvs alternately spiraling, sharply serrate to irregularly lobed (variable), per Forest Plants of the Southeast and Their Wildlife Uses. 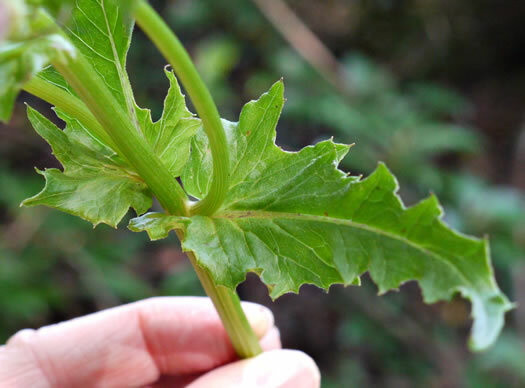 Stem slightly hairy or not, fleshy, grooved, solid with white pith, per Forest Plants of the Southeast and Their Wildlife Uses. 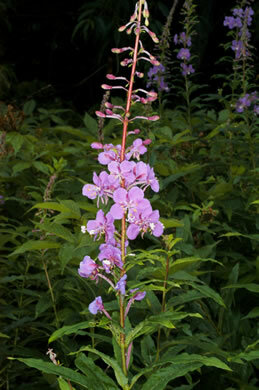 Heads cylindrical but swollen at the base, bracts equal & in a single series, per Wildflowers of the Southern Mountains. 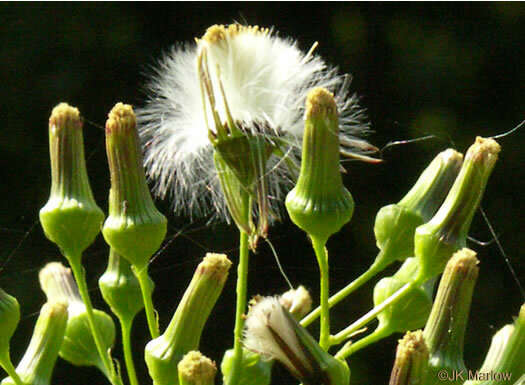 Nutlets tapered, brown, ribbed, topped by soft and bright-white bristles, per Forest Plants of the Southeast and Their Wildlife Uses. 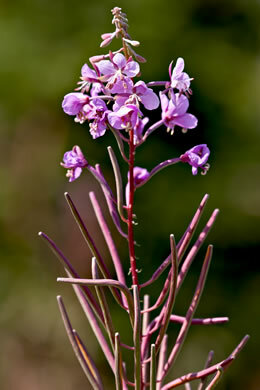 The whitish corollas are barely visible above the involucres, per Wildflowers of the Southern Mountains. 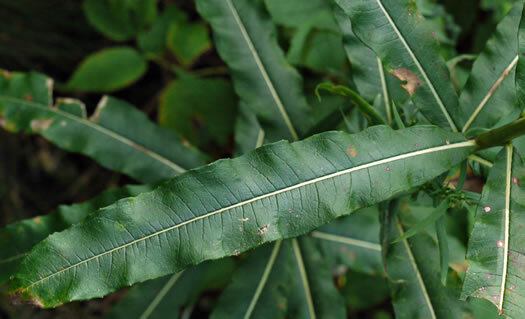 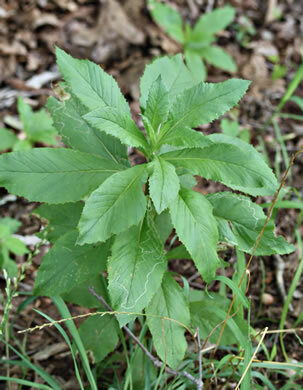 Leaves irregularly serrate to dentate, unlobed or lobed, per Vascular Flora of the Carolinas. 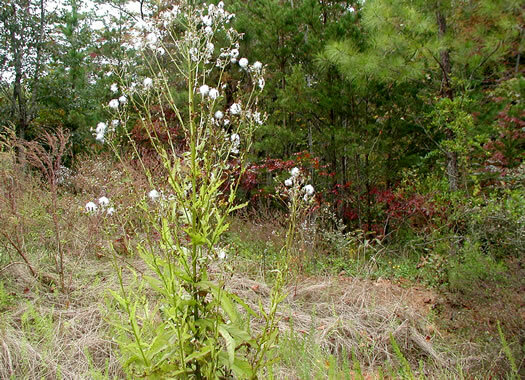 Appearing seemingly from nowhere, at small soil disturbances in forests, per Weakley's Flora.